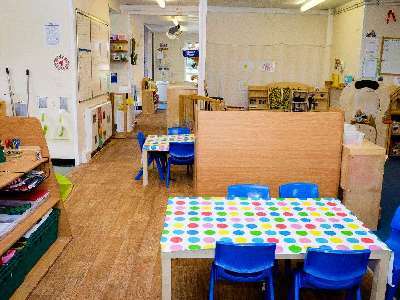 In the baby room we aim to follow your child’s individual daily routine to help him or her to settle in as quickly as possible to feel safe and secure in new surroundings. 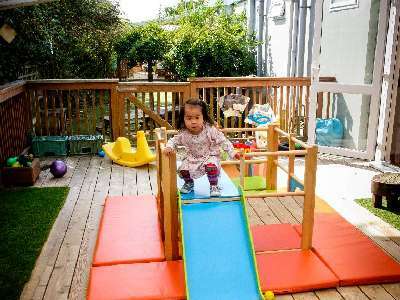 The children will partake in a multitude of play experiences based around their development needs and interests. 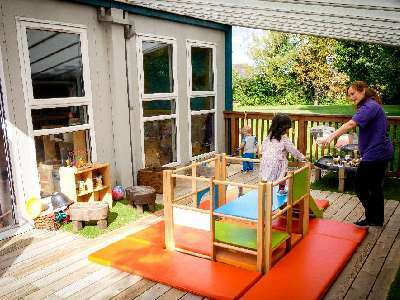 Staff interact with the babies as they explore treasure boxes full of different textured materials, musical instruments, board books, small world toys, such as the farm and animals, bubble blowing, exploring the paint and much more. 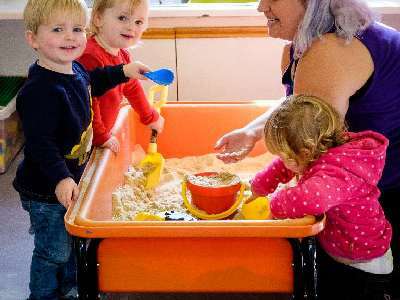 At the Orchard we recognise the babies must have careful, considered attention and so we provide a range of activities that allow them to experiment and explore through play and sensory experiences. Because babies continually learn through their senses we use a wide variety of exciting materials to teach them about texture, smell, shape and sound. Eg. Exploring ice and tea bag printing. 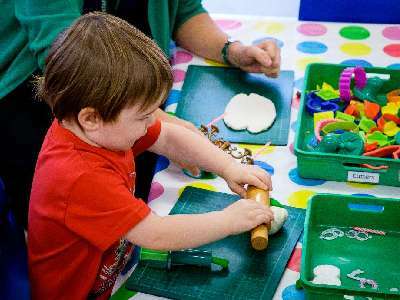 During the day, children have the opportunity to participate in a wide range of carefully planned activities, enabling them to achieve their individual potential. Choice and spontaneous play are encouraged. 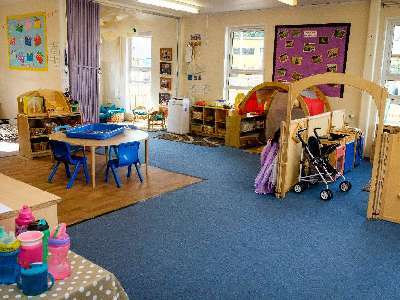 The environment is laid over two rooms and is equipped with resources appropriate for their age. 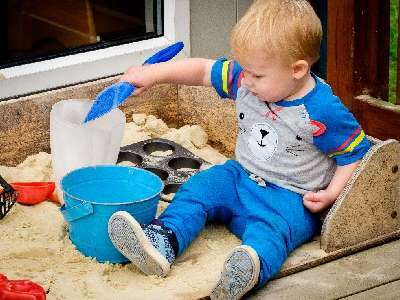 Activities such as home corner, construction, playdough, creative, sand and water are available at all times and the children can access these throughout the session. Adults are on hand to support learning as and when it happens. 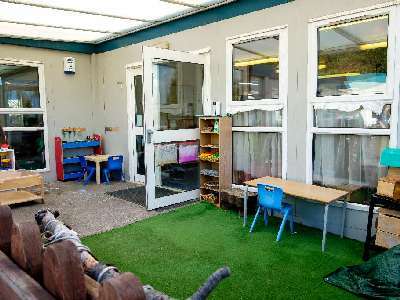 The children have access to the outside spaces, with canopies, so children can choose to play inside or outside. The children have access to our ‘snack bar’. 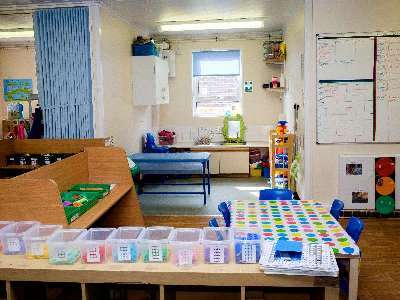 They are able to choose and cut up their own snack, at lunch time the children are encouraged to serve themselves and clear away their plate after lunch. The children come together in their age groups for circle time to have discussions, stories or singing. 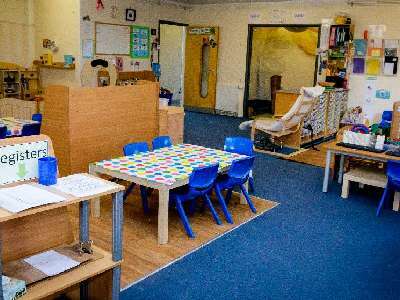 This enables them to have some time in small group situations doing an adult initiated activity that specifically focuses on the children’s individual learning needs. We base everything we do on the children’s interests, as we believe that if the children are interested in something they want to know more about it. 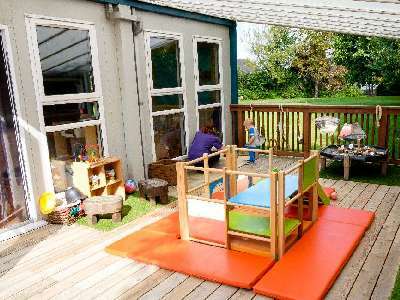 We emphasise firsthand experiences and view play and talk as powerful mediums through which children learn and develop. How we do our planning? 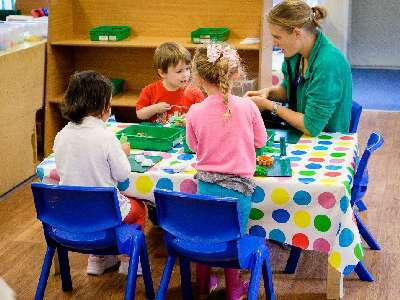 We have focus children each week (approximately 2-3 children per week per key person). Planning in the moment means we do not plan ahead, rather we remain in the moment with the children as they explore and learn. We observe carefully and enhance the learning whenever we spot a ‘teachable moment’. Our observations, interactions and the outcomes are recorded on eyLog afterwards. We have focus children NOT focus activities. The adult goes to the child. The child is NOT called to come to the adult. Observations are only to be completed if the child was interested in the activity and met a milestone. We work this way because high-level involvement occurs in child-initiated activity. When children show high levels of involvement, that is when there is progress and development occurring – when the brain is at its most active. High level involvement occurs most often when children are able to pursue their own interests in an enabling environment supported by skilled staff. Planning in the moment helps to make this possible. We have an interactive environment indoors and outside. Nothing is set out on the tables. The children select what they want to do in each area. We use the observation cycle on a moment by moment basis. The focus children are given extra attention, but all the children are busy and learning all the time. Each key person will have a group of approx. 2 children of whom they will focus on each week. These are called our focus children. 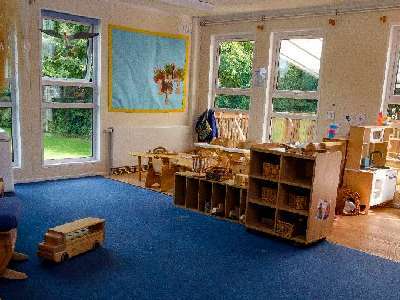 During the week the key person will incorporate the child’s next step into the learning taking place in that moment, rather than removing them to take part in an adult planned activity. The skilled adult will join the child and assess what is needed and then give them the skill, knowledge, resource, vocabulary or advice that they need in order to carry on. Such moments are added to the child’s learning journey on eyLog.